I Am Mike D: Spring is Here! What is happening, peeps? 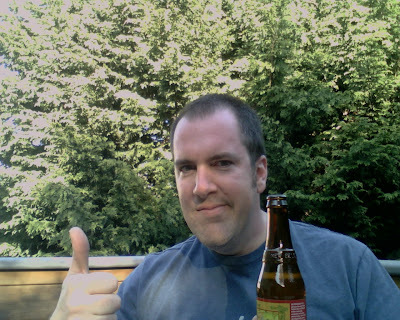 (That is code for Mike is BUI, blogging under influence...) I am sitting out on my back porch enjoying a Mothership Wit and the first truly wonderful day of the year. Sunny and seventy, double S, a perfect day in my book. Wearing a t-shirt and shorts Carrie (she wore capris) and I had a fun little midday. 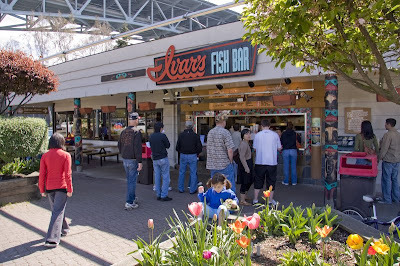 We left the house at around 11am and headed down to Ivars Salmon house on Lake Union for some lunch. Fish, Chips and Chowder. Tasty. We ate on their patio overlooking the lake with Seattle in the distance. After hanging there and checking out the waterfront we went down the street a bit to Gasworks Park. The whole city was there. 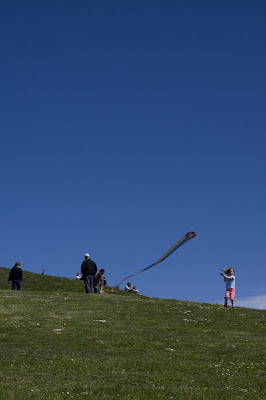 The start of the 'Seattle Summer' (see video linked at top...) People flying kites, holding hands, sleeping, walking on tightropes (more on that later), sailing, kayaking, just generally having a good time. 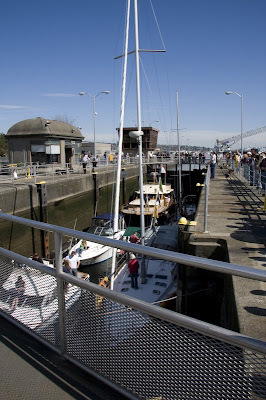 After hanging there for awhile we headed to the Ballard Locks. Probably one of my favorite places to go as a kid. I have yet to travel through the locks on a boat. Hopefully sooner or later I'll do it on my own (boat). We wandered around there for a while and snapped some cool pics. Again we saw people walking tightropes. I can honestly say, omitting trips to the circus, I have never encountered tight-ropers out and about. I realize that they can appear as normal members of society (for the most part) when they aren't balancing on strings, but c'mon! Two in a day in different places??? Is this a new fad that I am missing out on? After a bit it was time to go. We took off for two reasons. I only paid for an hour and a half of parking. time was running out. Both Carrie and I got our first sunburns of the season. It really stinks being pale. 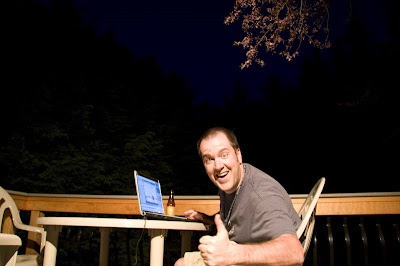 Fast forward a couple hours and I am still on the porch finishing up this post. 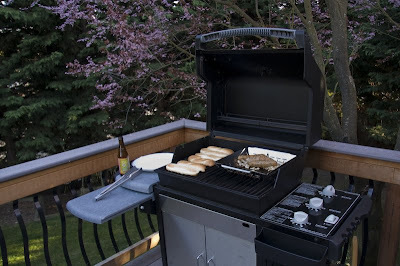 To put the cherry on top of a wonderful day, we had our first BBQ of the year. Nothing fancy, we just had some Trader Joe's Chicken Asiago Sausages, with a bit of cream cheese, Grey Poupon, and grilled onions. As far as days go, today was a solid 8.52. Probably the best day since the Seahawks beat the Redskins in the playoffs. And I didn't have to wear as much clothing. To finish this post up, here is a picture of me just 30 seconds ago... King dork.